Don’t be fooled by squawking geese.This is not a farm tale! Author Sheri Graves snagged this reader with her witty mystery Deep Doo Doo. It was one of those novels that is truly hard to put down. It moves along quickly and made me wonder what could possibly happen next to reporter Carrie McClelland. I highly recommend this novel! In fact, it has proven to be my favorite read this summer. This entry was posted in authors, California Writers Club, humor, Redwood Writers, Reviews and tagged book reviews, California Writers Club, reading, Redwood Writers, writers. Bookmark the permalink. I loved this book! 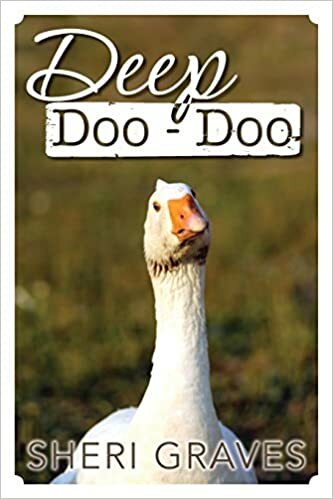 Deep Doo-Doo is highly recommended! I’ll have to try it! I guess it’s true. You can’t tell a book by its cover.